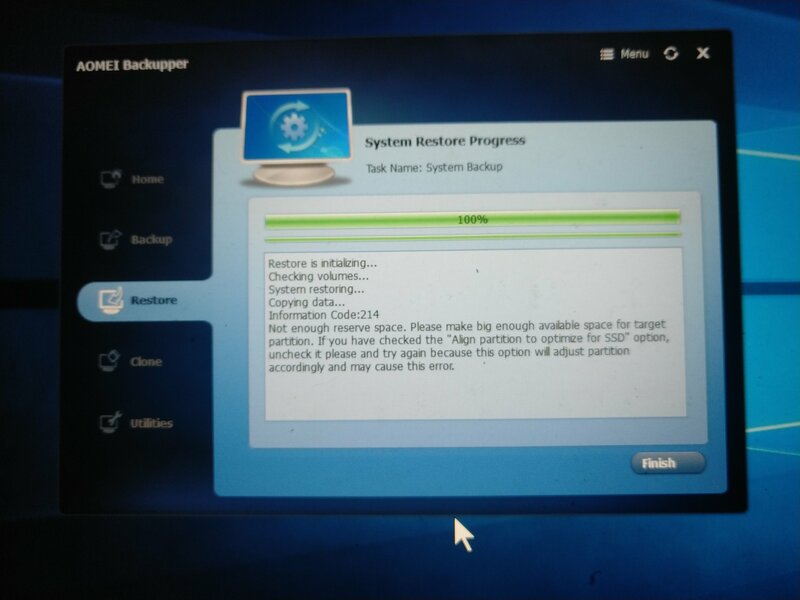 i meet the error code 214 while restoring my system partition, it shows that my dirve have no enough space but it seems have. Pic show that the souce only need about 80,but there is about 200 GB unallocate. i dont know what i did wrong,and hope you can help. thx! PS:i use the AOMEI PE BUILDER to make a pe usb drive and run the backupper in it. WWWWHAT? I check it once more and it complete succefully. What's the size of your backup image? BUT i found that Pic. 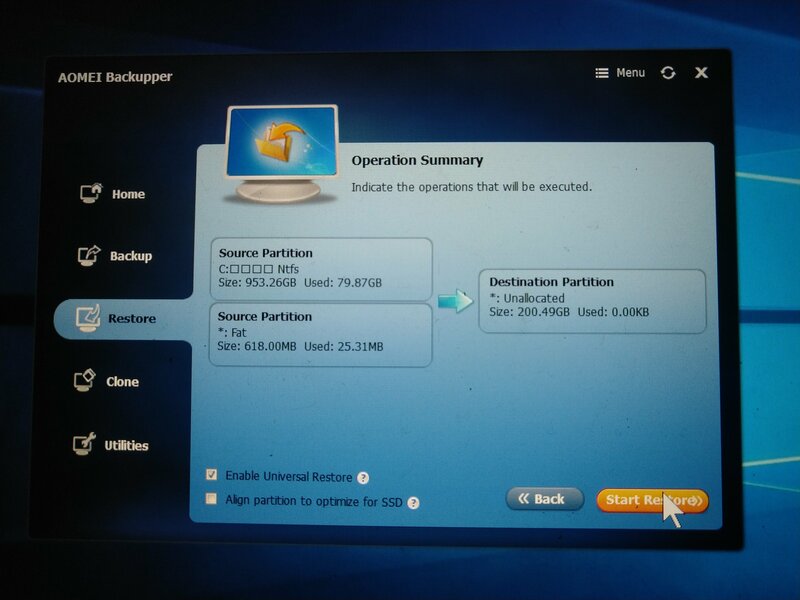 3 shows the source partition was over 900GB. May be the wrong here? Are you using the latest version of Backupper? Backupper Pro 4.0.2, but chinese version.Should i try the Standard 4.5.6? The version in AOMEI PE is 4.0.6. Sorry, i canot find the 4.6.0, it shows that the 4.5.6 is the lastest one. Could you send me a website to download 4.6.0? And i wonder it depends on the version while backuping or restoring. "Sorry, i canot find the 4.6.0, it shows that the 4.5.6 is the lastest one. Could you send me a website to download 4.6.0?" well, i find it today. 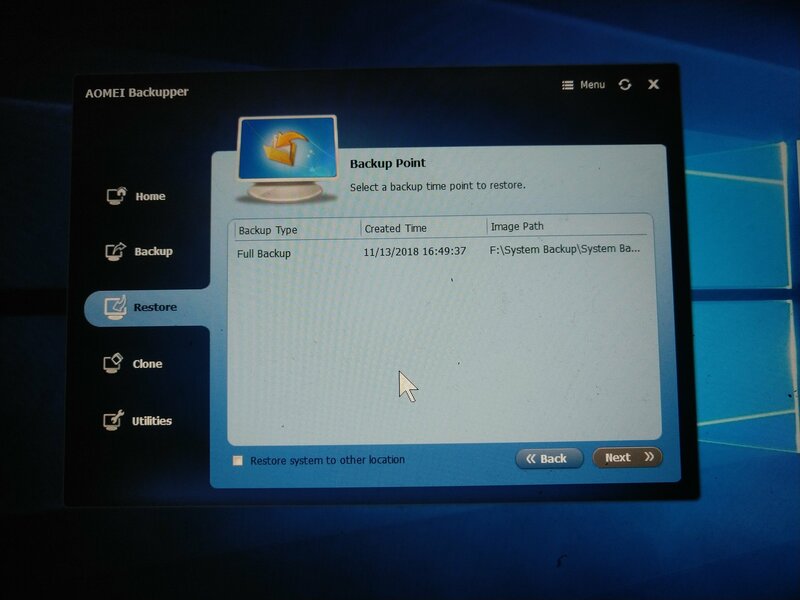 But i wonder if i should backup again? It suggest me to restore in PE. But the version in PE just 4.0.6. Does it matter? Maybe you could create a PE manually with 4.6.0. I did it, but failed, the same backupfile, the same code. Whatever, thanks for your answers. 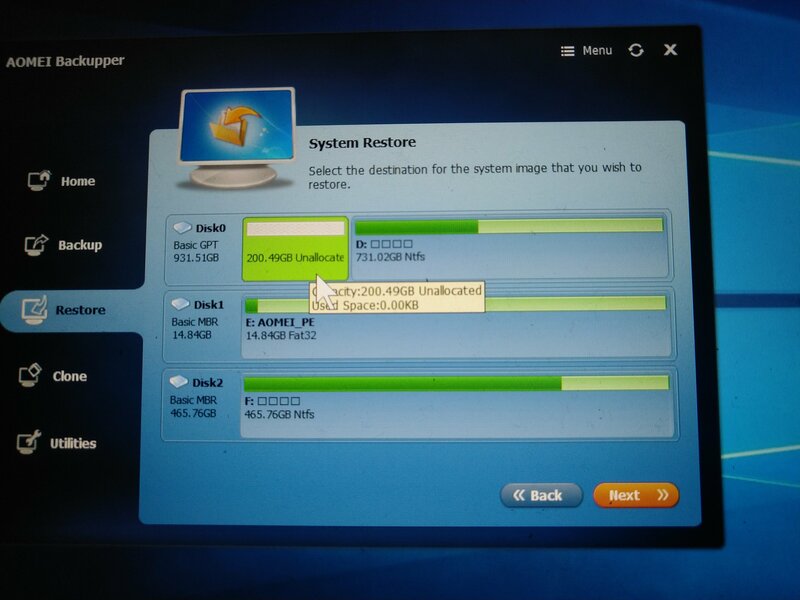 Or you can not boot from the boot disk, and allow the program (by setting the recovery from under Windows) to restart the computer in PE mode and try to recover from there. Hardly already of course. But suddenly.